Efren's Refreshing '61 Convertible Is Rolling Once Again. 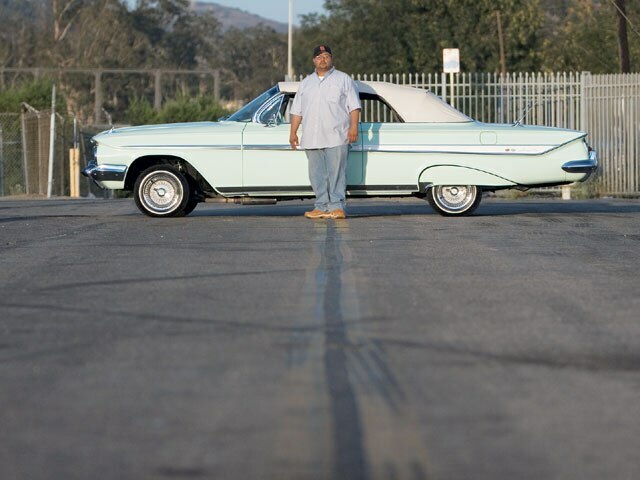 Efren Ojeda loves to spend time with his family, but he also loves kickin’ it with his ’61 Chevy Impala convertible, “Minty Fresh.” Top back with the sun shining is what Efren loves to do when he’s not working for BP as a machinist in Long Beach, California. 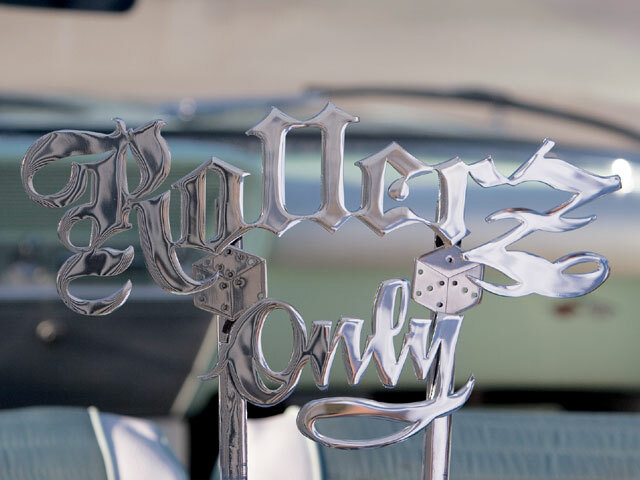 Efren was an early member of Rollerz Only C.C., but after getting married and having his first child, he decided to leave the car scene alone for awhile. But just like the love you have for that first girlfriend that never quite leaves, Efren found his way back to Rollerz and makes it to shows as much as possible. The feeling of being part of the family again is a great one for Efren. He’d like to thank club president Carlos, his brother Frank and his dad, along with Rollerz CEO Troy for their help. 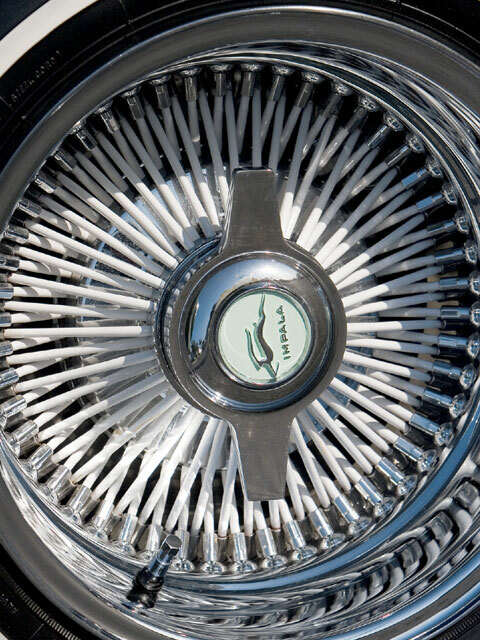 Efren’s ’61 is plenty fresh as is, but he plans to install airbags (“maybe”) and chrome the undercarriage. Either way, this ’61 ragtop is one of the L.A. chapter’s cleaner cars. 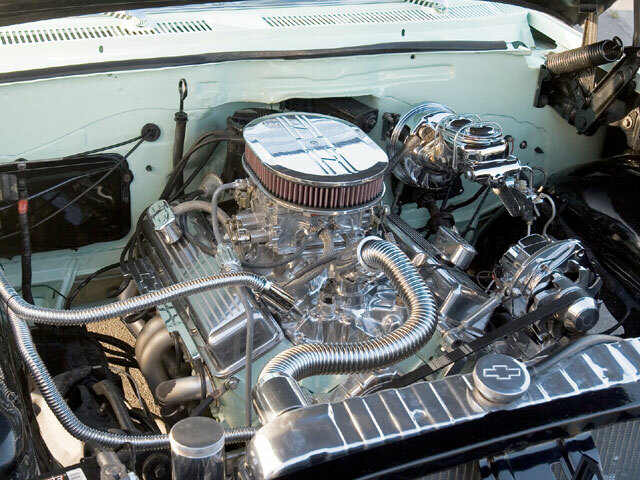 Engine/Drivetrain: An ’85 Chevy 350-c.i.d. engine featuring stainless steel headers and plenty of billet accessories was built by Carlos at Carnalez Hydraulics in Whittier, California. Body/Paint: Nasario of Nasa’s Body Shop in Compton, California, handled the bodywork and mint green paint. 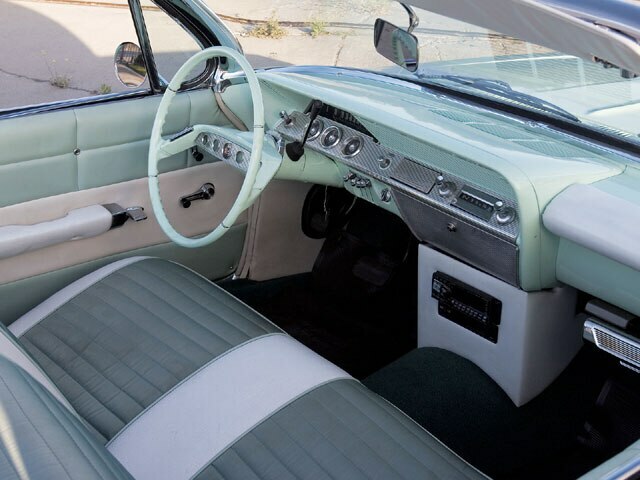 Interior: White and mint green vinyl with cloth inserts was sewn together by Jr. at J&R Upholstery in East Los Angeles, California. Sound System: An Alpine head unit and equalizer are housed in a center console, with Kicker amps, MB Quart tweeters and mids, and JL Audio subs completing the system installed by the owner.